Jay Beacham-Actor-Singer- Voice Talent Welcome to JAYBEACHAM.COM ! This web site is to tell you about the voice of Jay Beacham (“a good, strong, true voice” said Corrine Applegate) and how he uses it and where you can hear it. “a truly unforgettable voice..”, said Brenda Armstrong of Texas. Listen to the Voice introduction to this page under the microphone at the bottom of this page. There are the links blogroll, the photos link, and text links at the bottom of the page. Go to the links now or keep reading and then go to the links. Need a narrator, voice over guy, voice talent, radio voice, a DJ voice, vocalist, voice actor, stage actor, screen or TV actor, German and English, German translator (German to English or English to German) ? This is a site about the voices of Jay Beacham of Ivins, Utah for hire and about his voice activities . Leave your comments at the bottom of this and the other pages. There are some products (most of song recordings on this page are on the cds on the product pages) listed at the top right as well as a rate schedule. Hear the voices of Jay Beacham at links to voice over demos under links blogroll, “Hear me do voice overs”, or by clicking on the photo of the microphone below for his Voice123 demos. Be sure to Bookmark this page and return often. If you are serious about getting a good voice for your project, following a few links won’t stand in your way. ”MY goodness, Jay, you have one of the most awesome speaking voices I have ever heard. Geez, I thought it was an announcer announcing your song. I love your singing voice, too, and you are sooooooo flagged. LOVE THAT RADIO SPEAKING VOICE OF YOURS….. I LIKE HOW YOU INTRODUCE THE SONG WITH THAT FABULOUS RADIO VOICE OF YOURS!!! I loved listening to it… I am officially hooked upon your SS station! Its as if we were listening to BILLBOARD ONLINE…LIVE! Ilse H. says: Dang, your voice sounds so good!!! I think that is a great addition. (She spoke of the audio intro to Jay’sDiscountStore: http://saveavenue.com/jbeacham/ a store that ended on March 10th 2012. All I could think of is it would have been something amazing if you had been a preacher..cause you would have had so many listeners Jay..I just wonder if you had that little voice inside saying go preach MY Word..ok I just had to ask..your voice is from above, that I do know..and a gift to all mankind. Preacher or not. Such a beautiful voice and you can capture a heart with it. I loved the video. April 22, 2011 Just visited your Voice123 web site my friend and had a listen to all your demo’s. Under blogroll you will find links to different businesses where sound button were added: ”Images of the Past”, ”The many faces and voices of Jay Beacham”. These folks made the above comments about the audio recordings at those sites and two online singing sites. Sharon of Ca. described his voice as “smooth”. LOVE this song!! ….and you sound great on it! ….anyone ever told you you would be a number ONE radio announcer? You have that kind of voice. ENJOYED YOUR SINGING! AND YOU HAVE A GREAT RADIO ANNOUNCER VOICE. Stephen said in Jan. 2012: Jay, Nice job very smooth voice. You also have a great speaking voice. Like the way you do the intros. You should be doing radio. Movies… What an Adaptable Voice of Gold My Friend. Gina Montgomery “WOW! I just simply LOVE your voice whether you are speaking or singing Jay! Did you used to be a DJ? You have the BEST radio voice. So soothing……..LOVED THIS! I sing all kinds of songs like movie themes which are lots of fun. Answer: “I speak English and German and teach German privately. Yiddish and Hebrew are similar to German (as are Dutch and Afrikaans). Italian and Japanese are easier for me and Spanish. Creole and Gullah have French and Indian roots and are not hard for me to say the words. Whereas, French is hard because of the way words are said so differently from how they are spelled. Even Beacham was once the French Beauchamp (Beau cham) or Fairfield. My daughter married a French speaker and she and their 4 boys speak French. So I suppose I should learn it. But speak English and German. I’ve also recorded in Japanese, Spanish, Italian, Polish, Russian, Greek. Need to add some others. SO ENJOYED LISTENING ~ HUGS MARINA! “So leb dein Leben” “DU SINGST SUPER ~ GEFÄLLT MIR SEHR” MARINA! Und danke für deine lieben Kommentare … ich habe mich sehr darüber gefreut.Never heard this song in German ….. it´s wonderful that you sing this in my (our?) mother tongue .. it sounds very good. Du singst das Lied auch richtig gut.. deine deutsche Aussprache ist klasse, lieber Jay! “DEIN DEUTSCH IST WIRKLICH SUPER GUT”-MARINA! Jay, da du so phantastisch in deutscher Sprache singen kannst, schreibe ich dir auch in deutsch… ist auch leichter für mich! And I’ve recorded some songs in other languages too. a 1963 song “Il Mio Mondo“ (“My World”) by Umberto Bindi, who co-wrote the Italian-language version with Gino Paoli. Beth S. of Georgia, USA said of : “Rojinkes Mit Mandeln” (Raisins with Almonds), a Yiddish Lullaby, “sounds like a perfect lullaby”. “French is hard but you get a big 9.8 on this… you aced it with brio !!!! bravo!”-Nan of Quebec. This web site is to tell you about the voices of Jay Beacham and how he uses it and where you can hear it. Don’t believe Ilse, Amy, or Alan and the others? That’s okay. Give a listen and make your own decision. Please go to the top of page to “contact us” to guest sign in, leave your name and email address, and he’ll send you a sample of his voice work for free. Do you need a voice for your recording project? Can deliver voice work by phone, by email, online, by mail. -TV and radio ads and promos. Hear some samples at the Voice123 link to the right under “Hear me do voice overs” -narrations and voice overs. -announcer at KDXU radio St. George in the late Sixties early Seventies. According to Hart Wixom(Outdoors writer for the Spectrum newspaper of St. George, Utah), a voice that ought to be preforming in Carnegie Hall, speaking or singing. or buy the products on the Lincoln’s Ghost product pages. The Old Braggard, and The Old Settler and others. “I appear in period costume as that person. “A true master of his craft” according to one man and “the best“ according to David Bordas of Denver(a former BYU Motion Picture Studio employee). The US Immigration And Naturalization Project-Volunteers with the US Immigration & Naturalization Community Project make it possible for researchers worldwide to discover the stories of their US immigrant ancestors. Here I play the part of a Stevedore (a dock worker). I was cast in a small part in Mythica, a fantasy quest series. I’m the first person who’s face is seen in the trailer and movie. And acting and singing often go together. Right? About one such song Les Thompson said, “Looking the part too, Jay. Move over, Topol…Tevye has never looked better!Great performance of a fabulous showstopper! Best,” -Les. “Following a recent concert(Dec 2010) where I did one solo with the Master Singers of St. George, Utah, one woman said of my rendition: ” Better than Willie Nelson”, while another said “You have the best voice I have ever heard”, and a man said, “Just like a nightengale”. “We can talk price for a personal concert. I also do backup singing, quartet, barbershop, other small groups and bass in choral groups. My solo work includes: Ole Man River, Big Bass Viol, Asleep in the Deep. Hey you’ll be impressed. At the 2009 Master Singers of St. George Christmas concert at the pioneer Tabernacle I sang a solo. I keep meeting people who say: “You’re the singer. You have the best voice I ever heard.”, “There’s the guy who sings like a nightingale.”, “You still have a voice.”, etc.. Don’t take my word for it, just listen to me and judge for yourself. Then call me to schedule a performance. 435-628-7809. Do you need work done in German? - German voice talent work ( won’t translate for you unless paid separately for the translating). -Hear samples at the Voice123 link to the right under “Hear me do Voice Overs”. “You wouldn’t want my vocal cords to atrophy. Would you? Give them a work out.” Call or order now. Need a narrator, voice over guy, voice talent, radio voice, vocalist, voice actor, stage actor, screen or TV actor,German translator(German to English or English to German) ? Go to the link blogroll to the right of this page and see my other sites and listen to some voice demos at voice123 under my profile.I have other products. Go there now, select your product and follow the purchasing instructions. PS. 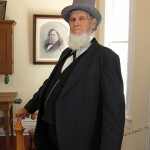 On February the 12th, 2009, the 200th anniversary of Abraham Lincoln’s birth, I performed as the Ghost of Lincoln at the St. George, Utah Opera House. DVDs are available. call 435-628-7809 . Hurry and get your copy of every year 2009, 2010, 2011, 2014 before they are all gone. They are selling fast. See product page at the top. Feb. 12, 2010 show: Lincoln’s Ghost Returns. And for the 150 year anniversary of Mr.Lincoln’s first inauguration year, I was the Ghost of Lincoln 2011 “Lincoln’s Thoughts on Life-His poetry” in a Saturday Matinee on February 12th. 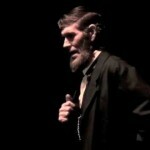 (see the blog for details) A video link to Lincoln’s Ghost show. 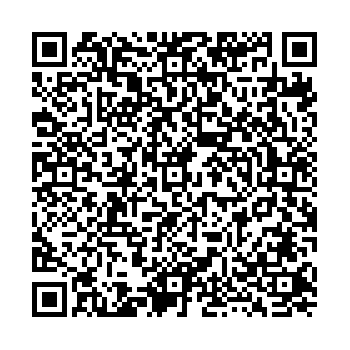 Click on the microphone below for voice demos . I understand that Mel Blanc went into Warner Brothers every week for three years trying to get heard. The main guy wouldn’t listen to him and then died. The new guy who took over, listened to Mel and Mel went on to make Warner Brothers. I have found some great ideas on this site and I will bookmark it. I truly appreciate this post….. You’ve made my day! Thx again..
Hey! I simply wish to give an enormous thumbs up for the nice information you’ve right here on this post. I shall be coming again to your blog for more soon. This is my first time i check out right here. I found so a lot of entertaining stuff within your weblog, especially its conversation. From the tons of comments on your content, I guess I am not the only one having all the enjoyment right here! Keep up the excellent work. Ahoi there, I always enjoy reading your posts. Keep up the good Work! Great article! You definitely got my SU thumbs up! I absolutely love your blog.. Pleasant colors & theme…. This is an awesome blog. If you might ever need any backlinks vist the following link ( http://goo.gl/RjhgY ). with thanks about your posting. extremely gud. Fantastic internet site I discovered info really informative. I come here every one of the time and they usually deliver very good content material! Hello! I just wish to give an enormous thumbs up for the good data you might have here on this post. I might be coming back to your weblog for more soon. It’s so true, not any voice will do, thank God it had to be you! Great voice and a great face, you really belong in movies. Thanks for everything Jay! You are so awesome! I don’t suppose I’ve read a single thing like this before. So wonderful to discover another person with genuine thoughts on this topic. Seriously.. thanks for starting this up. This website is one thing that is required on the internet, someone with a bit of originality! Texas, above two weekends this fall, and it really is bringing a host of talent from across the musical spectrum with it. This year’s occasions are taking area Sept.
We can get your latest songs thousands of hits from real people within days. We get your music viral and get 1000′s of people to share! Oh, and we usually do this for 250 but for you we’d be doing it for only $20 Our way of giving back to the music scene! Sleep on it, think on it. If you’re down, your code is hits20 and it will drop the tag. Besonders schöner Blog. Wie kann ich den Autor erreichen? Jay Beacham has one of the best voices in America. That’s a bold statement if you don’t love the sound of a father, grandfather, Santa Claus, Abraham Lincoln, a deep base and baritone country singer, a peaceful and relaxing conversation on the radio during a long drive or between songs while going about your day, that feels like old fashioned home cooking in the oven or Thanksgiving meal or beside a crackling home chimney fire place sipping hot cocoa and marshmallows cozy under the blanket with soft lights blinking on the evergreen tree. That’s how it feels when Jay Beacham speaks and why I had him introduce one of my New York Broadway singer friends in one of our marketing ads, nobody else could’ve done it right. Unfortunately in one of my favorite Hollywood movies they killed Jay’s character in the first 10 minutes but not until after he had saved the life of one of the princesses and main character. And that’s how Jay has been his entire life, the unsung hero, who sings his own songs and the hundreds of fans who’ve had the God given grace to be able to hear them have lavished Jay with all the love and praise that he should’ve received at the Emmy’s and Oscar’s. 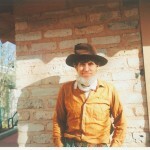 He has actively sold his brother’s paintings of their natural surrounds of Grand Canyon style desert scenery right in the heart of Zion’s Park which is a fitting name for the decent folks who live in that most gloriously unique western style frontier of America’s truly wild west countryside. If old style southern talking and drawl ever melted the hearts of the ladies and lit the fire of any lonely man, if ever it was popular or right for such a voice to be put in the lime light and mainstream of famedom like so many living legends before him why not now? Why not a voice that captures all that essence yet is a little more Midwest, maybe even almost East Coast while fully embracing the Southwestern brew we’ve all be yearning for to make a comeback, because Elvis is surely alive, but until he makes some new songs we’ve got Jay. My greatest dream in life was for Neil Diamond to perform again, make some new songs and perform them himself instead of selling them to all the Top artists on the planet, and finding Jay was like my dreams coming true. Wish he could make some more songs. But even if all he ever does is talk on the radio, or on my ads, it takes me back to the good old days of mother’s home cooking and family holidays by the fireside sipping hot cocoa and marshmallows. I can’t imagine a dry eye in the entire audience even if it was the largest Colosseum in the world or every TV and cell phone on the planet, if somebody gave him a script worthy of his voice and let it penetrate the universe, it would revolutionize humanity and the planet, forever. He won’t be around forever, we need to take full advantage, he’s there on his farm just building cabins, singing for the ladies on some little known online social network, breaking hearts one per day, and that voice can be yours because Hollywood and the Music industry wouldn’t know talent if it hit them like a barn hits a drunken teenager swinging off the rafters into the hay bales and mistakes the moon for the ground and goes where only his dreams can take him and lands on earth instead. Perhaps it’s the fate of humanity to always miss the mark, to never realize its full potential, and pass up every good opportunity, except for Bill Gates, Warren Buffet, those one or two who by whatever twist miraculously found that diamond that nobody else recognized and became the most famous companies and men and women on the planet who we all dream we could be like and yet Jay is right here in our hands and we have this moment to make the right choice or be just one of the regular humans on this planet, normal, forgettable. Jay will make you unforgettable if you know how to market him so that he markets you! That’s what I’m doing, and hopefully I’ll get him first before anybody else! If you’re looking to use Jay, then that means the race is on! May the best company win!